"Mouthwatering Taco Happy Hour Deals In Atlanta" has been written by ForeverEyeLoveAtlanta.com and does not include any sponsored brand messages however it does contain affiliate links. For more information on our sponsored content and/or affiliate link policy, please click here. Americans love tacos so much that we turned it into a national holiday called Taco Tuesday. There are so many creative ways to enjoy tacos that you could have a different type of taco every single day in Atlanta. Take your tastebuds through an oral exploration from Midtown to Smyrna with these nine recommendations. Bonus tip: They all have vegetarian options! Roc 'N Taco wants you to enjoy any time of the day with their Taco Tuesday specials being offered all day long. Join them every Tuesday for this hot special, or take advantage of their other specials during the week. End your night (or take into the wee hours of the morning) in historic Edgewood with the hipsters. Get a little weird and sing a little song to ease into your next hump day. 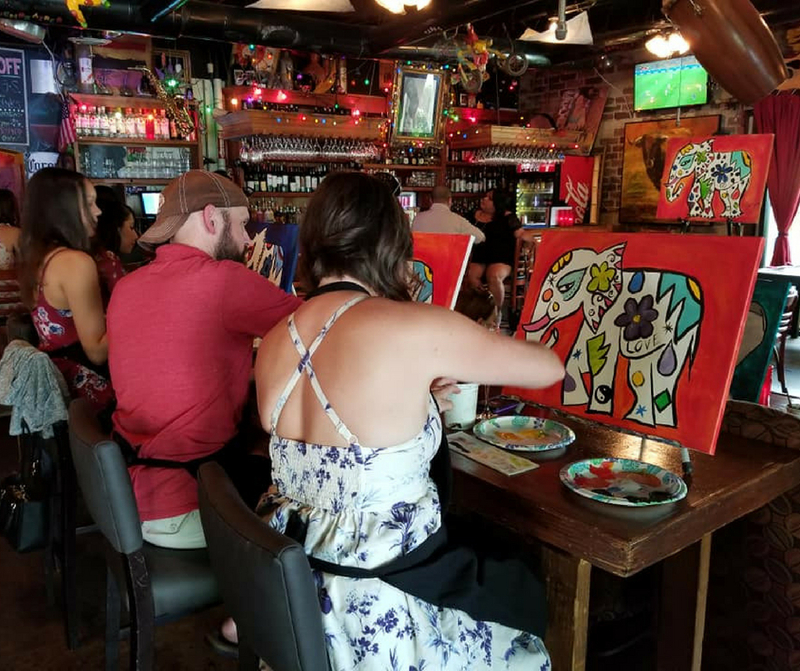 Get their early because this local fave gets jam-packed by 7:00 p.m.
Tin Lizzy's is known for its "FlexMex" cuisine of street tacos, juicy margaritas, and friendly atmosphere. You can enjoy their Taco Tuesday specials from 2:00 p.m.-close every week. Other locations include Downtown, Midtown, Perimeter, Emory Point, and Kennesaw. 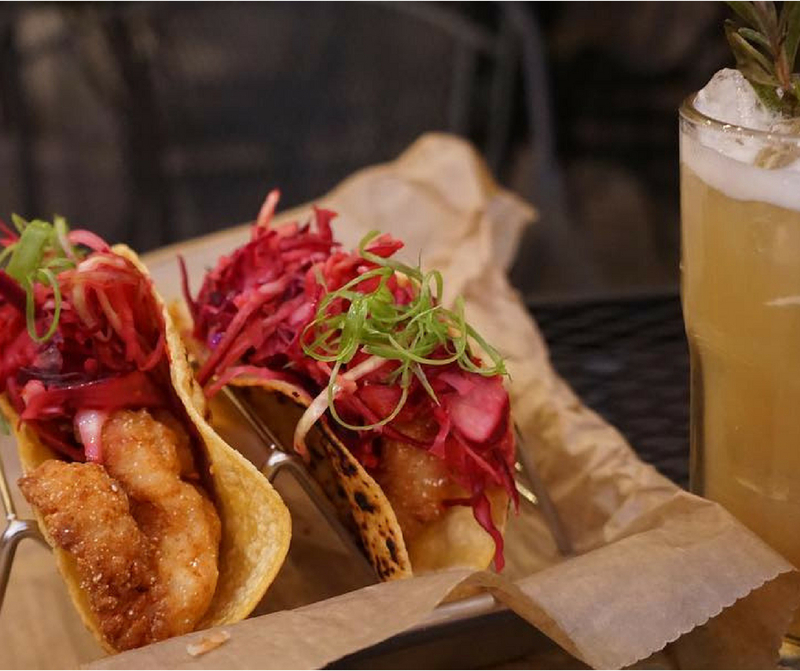 Prickly Pear Taqueria is a great place to start your Taco Tuesday adventures with their hassle FREE parking in the Publix garage. Housing over 100 titillating tequilas & 10 beers on draft, ease into the taco party with their house draft Prickly Pear Cerve. 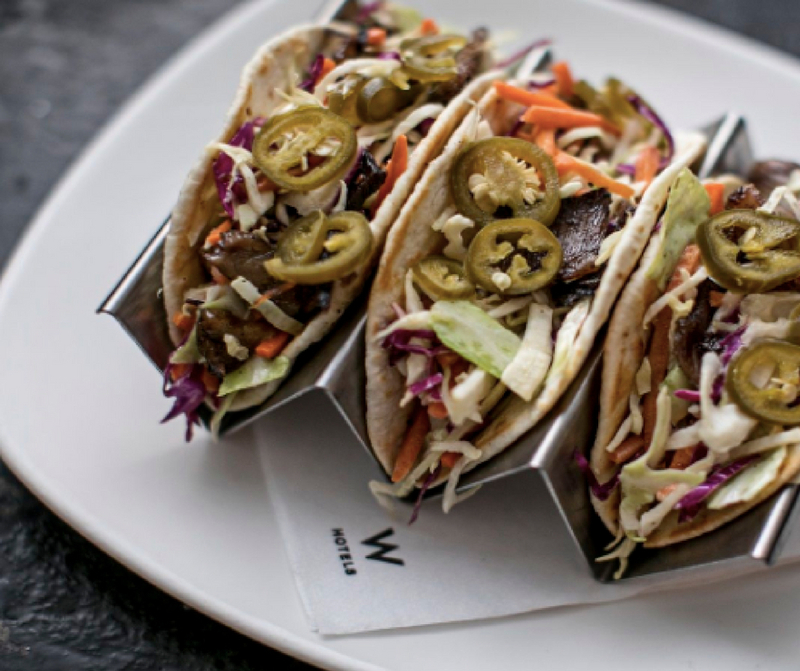 The Living Room in W Midtown wants you to work hard and play harder for their tacos and tequila special from 4:00-11:00 p.m. Taco Tuesday at Living Room means you can get three tacos and a tequila flight or a tequila cocktail for $20! Apart from Tuesdays, the trendy happy hour features half-priced apps and $8 cocktails, with local DJs creating the vibe. If you're seeking a spirited evening out for your Taco Tuesday cravings, look no further than the festive restaurant in the heart of gaydom that's nestled near the rainbow crosswalk. The locals can't stop thinking about their frozen strawberry mango margarita and shrimp quesadillas to satisfy their afternoon delights. Their other weekly specials running from 3:00 - 7:00 p.m. will keep you coming back week after week. Guaco Joe's is spreading the taco craze to every day of the week with $2 tacos and 1/2 priced dips from 10 p.m.-close every night! The drive to Vinings is worth it to for picturesque views of the OTP neighborhood. We want to hear from you! I love the portabello mushroom takos at Takorea. What's your favorite type of taco?